MARSHMALLOW FIRESIDE. 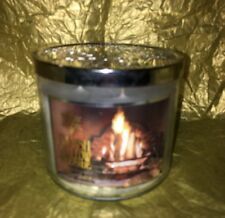 Candle is 14.5 oz / 411 g. 3-Wick Large Candle. Bath & Body Works. Small Flat Rate Box - 1 up to 2 of this item. We can make the ITEM PRICE lower. You are getting: 2 Candles. Choose a box and fill it with all that fits! WARNING: To prevent fire and serious injury: Burn candle within sight. Keep out of each of children and pets. Never burn candle on or near anything that can catch fire. Keep all objects, including matches and wick trimmings, out of the candle. BANANA REPUBLIC SCENTED CANDLE. 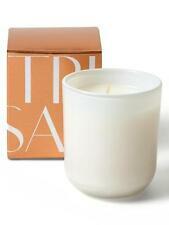 GREAT GIFT.Banana Republic Paraffin wax blend votive candle in a signature opaque white sprayed glass. A citrus and herbal blend with hints of tea and essential oils of grapefruit and clary sage. 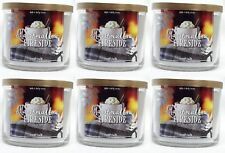 Bath & and Body Works Home 14.5 oz 3-Wick scented candle MARSHMALLOW FIRESIDE . Hello and thank you for stopping by, I got this Candle for you to Consider Bath & Body Works Home Scented Candle A NEW 14.5 Oz scented candle. Burn time is between 25-45 hours As seen in pictures of labels Thank you for your time and God Bless. MARSHMALLOW FIRESIDE. Three-wick Filled Scented Candle. Each Jar: 14.5 oz (411 g.). Each Candle: 4" wide x 3 1/2" tall. Bath & Body Works. We do try and keep up with the changes and get new pictures for our ads, but occasionally we do get behind. Candle Root Candle Co. Spiced Clove Pomander - Small Honeycomb Veriglass 6.3 oz. 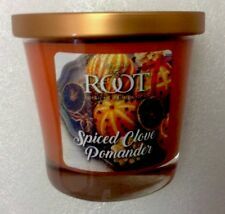 Candle Spiced Clove Pomander 6.3oz Root.